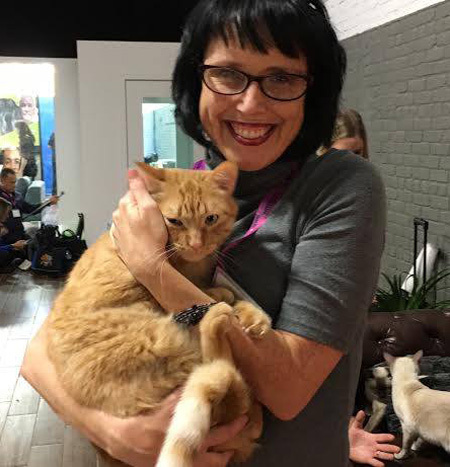 Catladyland: Cats are Funny: Purina #BetterWithPets Summit Was Informative ... and KITTENS! 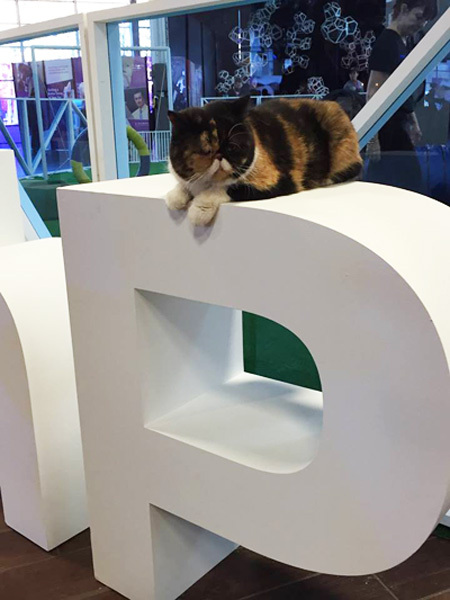 Purina #BetterWithPets Summit Was Informative ... and KITTENS! 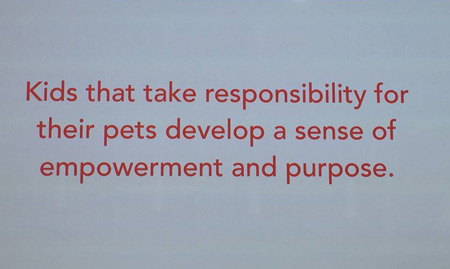 I love New York City and I love pets, so of course I was thrilled for the invitation to return to Nestlé Purina's annual Better With Pets Summit. In past years, the summit was set up in a TED Talks format, but this year included three expert panels, interesting speakers, and some fun hands-on activities. Yeah, that means I had my "hands on" a lot of kittens! Jealous? You should be. The focus of Better With Pets is the human-pet bond, and how our lives really are better with pets. 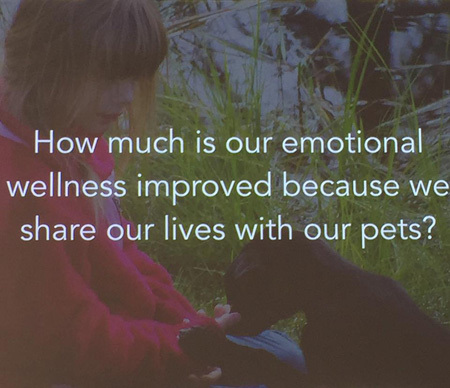 In particular, this year's event centered around the theme of emotional wellness for pets and the people who love them. The panels and activities supported that idea. 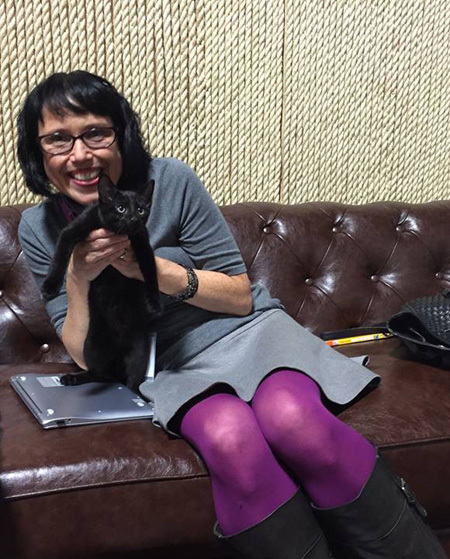 The first panel discussed the question, "Are millennials changing our relationship with cats?" It was an interesting conversation because I'd never really considered any differences. Since millennials tend to wait to start families, their cats are their children, and they also don't blink an eye at spending money on pampering them. The second panel focused on stress and pets. I've always believed my cats are fuzzy little anti-anxiety "meds." I can't tell you the number of times I've looked to my cats for balance, peace, and relaxation. 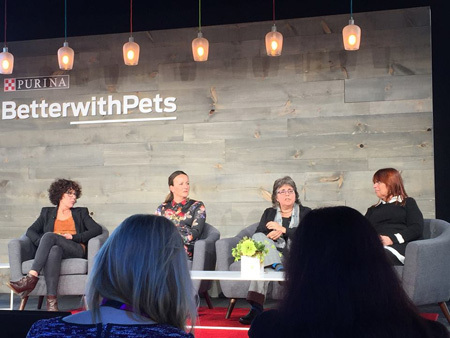 This panel not only validated what I already knew, they discussed stress in pets, how to recognize it, and how to soothe and prevent stress. One of the panelists noted that some vet clinics are now using cages with horizontal bars instead of vertical ones. This gives the cats unobstructed views, thus keeping them in a calmer state. The third panel was especially close to my heart. I've always been a huge proponent of nurturing the relationship between kids and cats. Well, that's just what this panel covered. Pets can be great therapy for kids who are stressed or in crisis, and living with pets helps teach kids responsibility and compassion. Yeah, I'm a big fan. After lunch, we got to experience some cool hands-on exhibits. There were examples of food puzzles, which not only keep pets from wolfing their food, they exercise their brain. My favorite part, of course, was the cat room, which demonstrated healthy environments for kitties. There were many levels or perching spots, hiding places, and toys galore. I could have stayed in that room all day long. I'd probably still be there if I didn't have to catch a cab back to the hotel! Oh, and how cool is this? Purina announced they will donate $50,000 to The Frank Attla Youth Program, which was developed to help at-risk youth in rural Alaska gain confidence and self-esteem by adding dogs into the school curriculum, and giving them a unique opportunity to create bonds with these dogs by teaching students how to care for them. Robin, Tamar and I hijacked the set. All in all, it was another successful Summit! I learned a lot, got to play with kitties, and visited with a whole bunch of my favorite blogger friends. I already can't wait until next year! 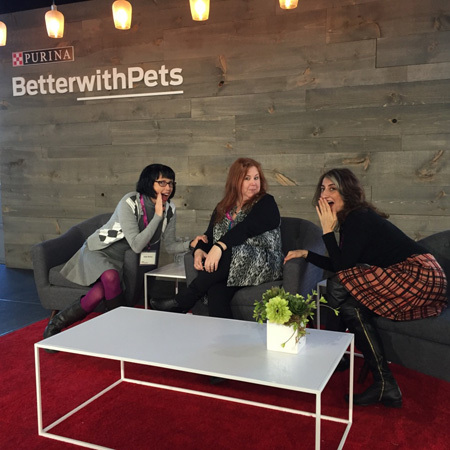 I was compensated to help spread the word about Purina Better With Pets Summit. Catladyland only shares information we think would be of interest to our readers. The opinions are our own.